The onion bomb exploded on the internet a few weeks ago. It was love at first sight and first bite. What? You haven’t heard of it? 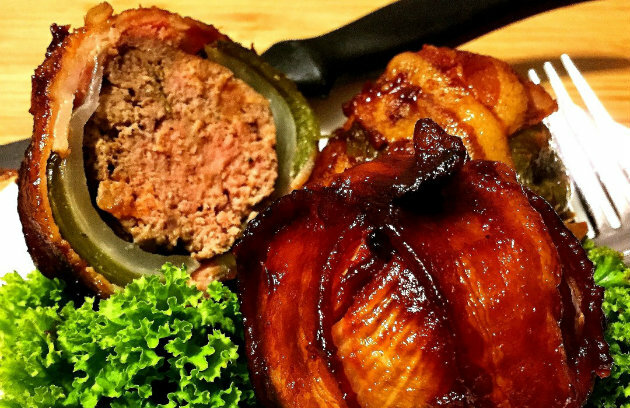 Imagine the outer layers of an onion, split, stuffed with a meatloaf-like mixture, wrapped in bacon, and smoke-roasted into an orb of meaty awesomeness. Well, we’ve decided to drop a few onion bombs of our own based on grilled meatballs around Planet Barbecue. Explosively flavorful? You bet. Use the following recipes to fire up your creativity. And post photos and recipes of your meaty ordnance. 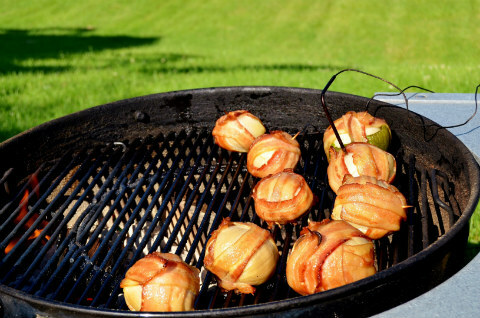 Click here to get the recipes for Tuscan Onion Bombs (the master recipe) and five variations: The Mexican, Turkish Onion Bombs, Onion Bombs in a Boat, The Greek, and T-Bombs.